The Marvel Cinematic Universe is about to get stranger. That is according to The Hollywood Reporter, which broke the news that Oscar-winning actress Tilda Swinton may join Marvel’s upcoming Doctor Strange. The film, to be directed by Scott Derrickson (Sinister) has already set Oscar-nominated actor Benedict Cumberbatch (The Imitation Game) in the title role. Swinton is being sought for the role of The Ancient One. The movie is due for release on November 4, 2016. The film introduces a new hero to the Marvel fold. Dr. Stephen Strange is a brilliant but cocky surgeon who, due to an accident, loses the use of his hands; in an effort to heal, he discovers magic. With his new-found skills, Strange is taken under the wing of a mystic who trains the doctor to fight against evil. The mystic is an elderly Tibetan known as The Ancient One. 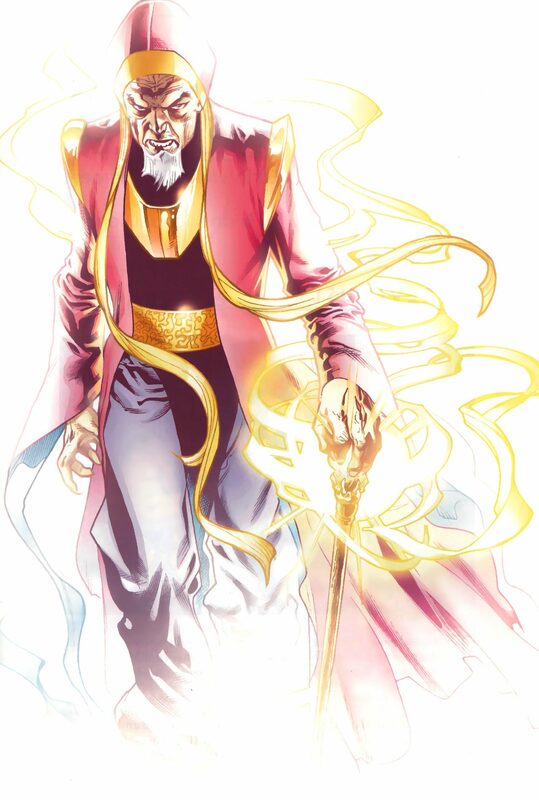 In the comics, The Ancient One is male, and reportedly, a male actor was initially going to play the character in the film adaptation. Whether due to continual concerns that the Marvel Cinematic Universe has overlooked female characters or an organic change of heart, the studio has re-imagined The Ancient One as a woman. Enter Swinton (possibly). Doctor Strange is yet another expansion in the increasingly crowded cinematic universe for Marvel. The character, introduced in the comics in the early 1960s, is perhaps not as well known as Marvel compatriots The Hulk and Captain America, yet nonetheless provides Marvel Studios with another opportunity to stretch its muscles. It’s fair to say they’ve done well with some of their lesser-known properties, considering the box office dollars and fans earned with the successes of Iron Man and Guardians of the Galaxy – characters that prior to the movies were not the most well-known to the general public. While Swinton’s commitment is hardly a sure thing as of yet, it offers a potentially progressive casting option for Marvel. Oscar-nominated actor Chiwetel Ejiofor (12 Years a Slave) is also rumored to be a part of the Doctor Stranger team. 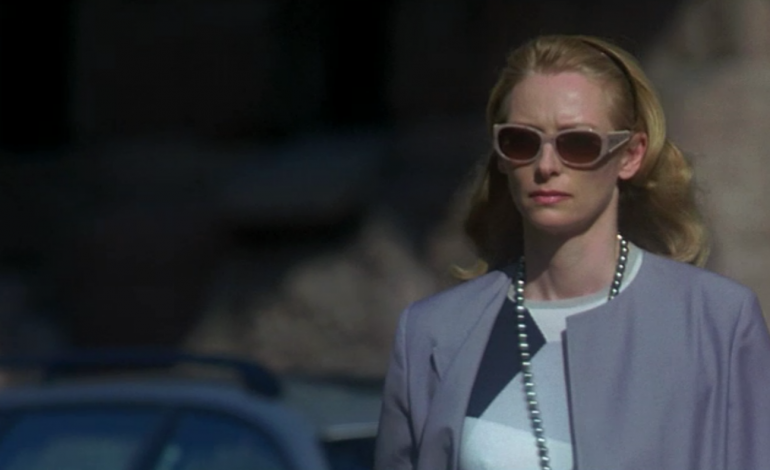 Swinton, the highly idiosyncratic Scottish actress (who won an Oscar for her supporting role in the 2007 film Michael Clayton) has been a constant on the independent film circuit for decades after getting her start as a muse for the late, avant-garde filmmaker Derek Jarman (Caravaggio, Edward II). Yet, while Swinton is perhaps more associated with her off-the-beaten-path roles in quirky films like Orlando, We Need to Talk About Kevin, I Am Love, and last years’ Snowpiercer, she has some big budget franchise experience of her own; the actress made an impression as the White Witch in 2005’s The Chronicles of Narnia: The Lion, The Witch and the Wardrobe. The actress is coming off a strong 2014, which saw her make three critically acclaimed turns in art house hits The Grand Budapest Hotel (Wes Anderson’s period comedy recently won four Academy Awards), the aforementioned Snowpiercer, and Jim Jarmusch’s Only Lovers Left Alive (a film which earned Swinton an Independent Spirit Award nomination). Swinton is set to appear next in Judd Apatow‘s Trainwreck, an upcoming comedy starring and written by Amy Schumer, and she will also star in A Bigger Splash, a new drama from I Am Love director Luca Guadagnino co-starring Ralph Fiennes and Matthias Schoenaerts. Early 2016 will bring Hail, Caesar!, an inside-Hollywood comedy from Joel and Ethan Coen where Swinton is set to portray legendary gossip columnist Hedda Hopper.